These crater gullies lie on the northern wall of an unnamed 9-kilometer diameter southern hemisphere crater in Terra Sirenum. The image was acquired during early winter in the southern hemisphere, so the crater wall is in shadow. These gullies were first imaged by HiRISE in 2006. Since that time the possible role of seasonal frost in gully formation along with the association of polygonal terrain with these and other gullies has garnered considerable interest. 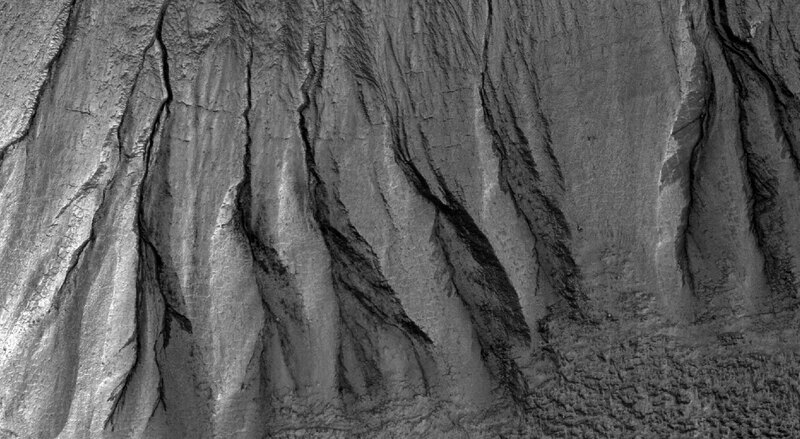 As a result, these gullies have become one of several locations being monitored by HiRISE throughout multiple Mars years. 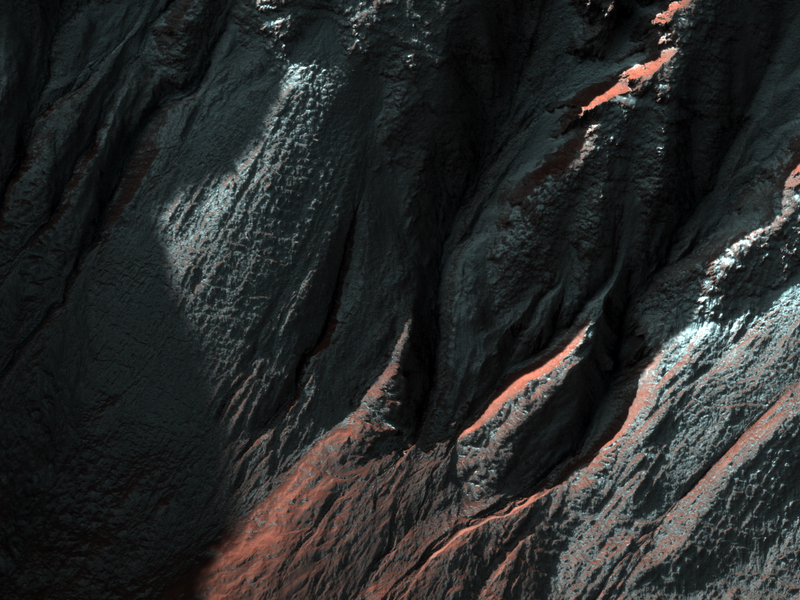 Over a dozen images of these gullies have been acquired to date throughout different Mars seasons. 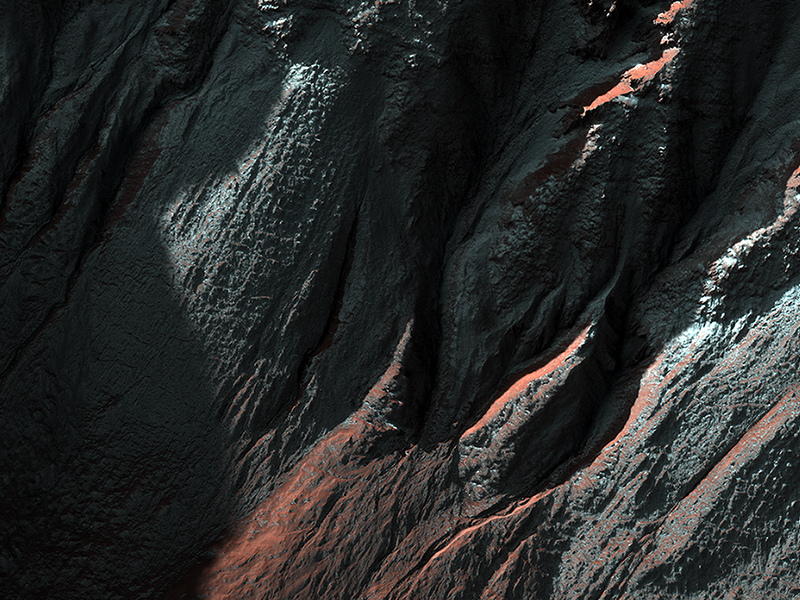 In this image, frost (likely water-ice) is once again forming on these southern hemisphere mid-latitude crater slopes. The subimage shows gullies on the shadowed polar-facing slope. 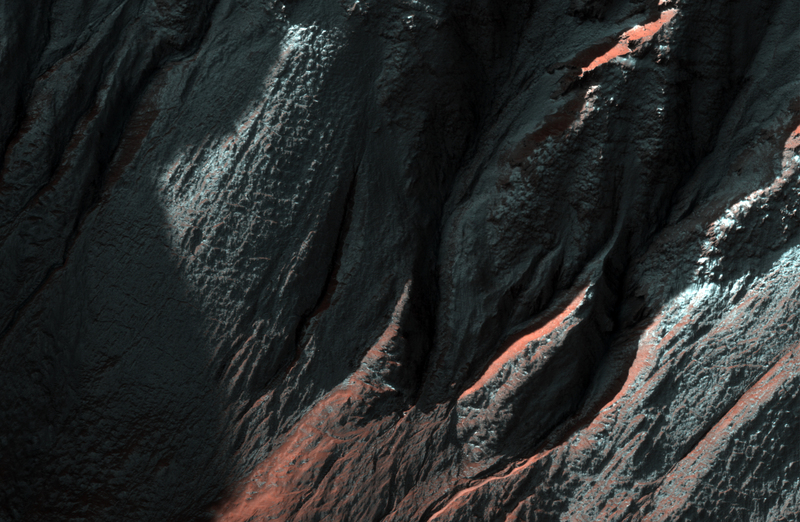 The large dynamic range of the HiRISE camera allows one to see into the shadows dimly lit by sunlight scattered by the surface and the atmosphere. These gullies are thinly veiled with frost and range in width from several meters to tens of meters and in length from a couple kilometers or so. Dark regions within the gullies are warmer areas where frost likely evaporated or melted exposing the darker underlying surface.